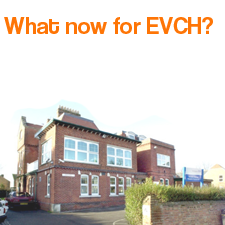 The Emsworth Neighbourhood Plan will include a section on healthcare facilities and services particularly in relation to the Emsworth Victoria Cottage Hospital (EVCH) site which is a key site at the centre of Emsworth and could form part of a community hub. We intended to include draft planning policies stating a clear preference for that site to be used for healthcare services. In order to support this policy and the growing need for healthcare services in Emsworth, we asked David-Christopher Thomas, a health care strategist and economist and local resident, to draft a discussion paper ‘Discussion Document: Emsworth Healthcare Futures’. The paper is intended to generate a debate on the future shape of those services and the options as part of developing our evidence base for the Plan. We are very grateful for the work that David has done on this for us pro-bono. We sent the paper to the Emsworth Surgery Practice, the Patient Participation Group and the South East Hants Clinical Commissioning Group to ask for their views and to engage with them about the issues it raises. We received replies from the Surgery and the CCG which informed us that, contrary to previous discussions, the Practice is pursuing the option of moving to a site at Redlands Grange and will be consulting patients about this shortly. Copies of their letters are available here >>>and again here>>>. In light of this significant change in the NHS’s plans for the surgery and the EVCH site, our Committee met to consider the implications of this for Emsworth and the Neighbourhood Plan. In terms of the Neighbourhood Plan, this proposed move to Redlands Grange (RG) would be a fundamental change to the site policies the Forum has been considering for the EVCH site and contradicts the findings of a residents survey we conducted over a year ago which were overwhelmingly in favour of the EVCH being the location of the new Surgery. However, that survey did not give the option of the RG site for the new surgery. As you will know, the EVCH site is a key gateway site for Emsworth, part of the town’s heritage that was bought and paid for by local people. It was put up for auction by its owners NHS Property Services a few years ago and, after community action stopped the sale, was subsequently designated an ‘asset of community value’ by Havant Council under the Localism Act. Weare now told by the CCG that NHS Property Services would dispose of the site after it has been declared surplus by them once the new surgery is operational. The Forum has been advised by its planning consultants, Aecom and Feria Urbanism, that there is evidence that surgeries based on edge of settlements don’t work well because of poor access (which lead to missed appointments) and the negative impact on footfall in town centres. This leads to failing retailers and fewer amenities for local residents. The Redlands Grange is not in the centre of the Emsworth populated area – even after planned new developments – and a large proportion of existing patients/residents are likely to be further from the surgery than they are today. It is also not served by public transport and would undoubtedly increase traffic volumes in the narrow lanes around Westbourne. The Redlands Grange site’s use for community purposes is part of the S106 agreement agreed at the time of the development of Redlands Grange and already has outline planning permission for a surgery. We will continue to work on this basis and keep you informed of developments. If you would like to help us with this work – particularly the public consultation please do contact the Forum Chair, Stephanie Elsy, on Stephanie@stephelsy.net. Our local MP, Alan Mak, recently had a meeting with representatives of the Emsworth Surgery and relevant NHS bodies where we understand progress has been made on developing the scheme although terms have not yet been agreed between the Practice and the NHS. We are particularly pleased that all parties have accepted the principle which the Forum has lobbied on – namely that the new building should be ‘future proofed’ to deal with Emsworth’s projected population growth. This is even more important given the housing Plans detailed above. We are disappointed however that no one from the Surgery or the local NHS organisations has kept local community groups informed and we will continue to press them to engage meaningfully with us and other interested local organisations. It was agreed at the recent Forum Management Committee that the Forum, the ERA, EBA and ECA would work together to develop and approve a local Health Policy Statement that we can promote to the local health bodies. We are pleased to report that the Department of Communities & Local Government (DCLG) has awarded the Emsworth Forum a package of technical consultancy support to help develop the new surgery using a new planning process called a Neighbourhood Development Order. This process means the developer (the Doctors and the NHS) can obtain planning permission more quickly and therefore more cheaply alongside and as part of the Neighbourhood Plan. Many other parishes and neighbourhood forums are using this process in other parts of the country but this will be the first time this NDO process will be used for the development of a surgery. You may have seen a statement in the most recent edition of the Ems by the Surgery Patient Participation Group that is critical of the Forum’s activities around the development of the surgery. The Forum Health group, led by David Thomas, with representatives from the ERA, the ECA and the Friends of Emsworth Community Health will continue to work with all the local health stakeholders to make sure that the surgery is built as soon as possible and meets the future needs of the town. The Forum Chair, Stephanie Elsy, wrote to the PPG and the surgery to explain the Forum’s role and to reassure them that the Forum wishes to work constructively with the Practice and all other stakeholders. You can read our letter here.